I'm not sure if this is something that has already happen in the other Silent Library (I'd have to rewatch them carefully) but I could tell everysingle time who was gonna get punish (the skull card was extremely bend on the sides) and it kinda ruined it for me in some way cause I don't know if they did it on purpose to pre-set who's getting punished or it was just a coincidence (Matsumoto was laguhing everysingle time someone took that/those card as if he, the same as me, knew that/those card was the skull one). I hope i'm wrong. Did anyone else see the same? P.S: I'm sorry if we're not supposed to discuss the episode, let me know and i'll delete the message. face expression after couple of hard-core punishments, tells me his (and everyone else) pain is genuine. He's looking trashed. I didn't spot anything fishy with the cards, though. 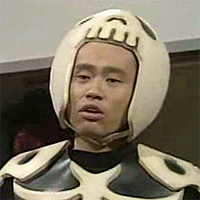 Of course, it might be some batsu's are pre-set, but that does not invalidate the level of presented entertainment. This silent-library was particularly funny. Thanks for always posting Ernie, would love to have the password. I'm new here, just saw this post, I'd love a password, thank you!